Faizabad city, Uttar Pradesh is the administrative headquarters of Faizabad district with an average literacy rate of 84.03%. The city has a famous Dr. Ram Manohar Lohia Avadh University and Narendra Dev University of Agriculture and Technology. It has countless English medium schools and others modern study centers as well. Many Industries wants technically skilled manpower to reduce unemployment and provide technical skills to the industries in country. Government of India has opened ITI’s or Industrial Training Institutes in each and every district to provide technical and non-technical education to the students. Faizabad also has 2 Govt. ITI’s and 73 Private ITI’s. They are the post-secondary schools constituted under DGET to equip students with variety of technical skills. 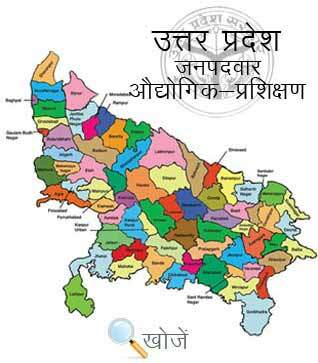 Vyavasayik Pareeksha Parishad (www.vppup.in) Uttar Pradesh is responsible for conducting the entrance examination for admission to various courses in ITI’s. Students can also visit online education portal www.upiti.in as well which provides them all necessary information regarding online downloading of application forms, results, counseling dates etc. The courses are of duration of 6 months to 2 years. Mandatory age is 14 years and matriculation is the basic qualification to join these various trades in ITI’s. After completing ITI, the tradesman can go for Apprenticeship Training as well for which they are paid.